Aviator Sunglasses continue to defy time. They never seem to go out of fashion! They are worn by many Hollywood celebrities, and depending on your facial structure, we carry a range that will fit every face. The key is to have a selection for your customers to choose from. Whether you are looking to fill a gap in your selection for Men or Women, let us be your supplier of Aviator Wholesale Sunglasses. Aviator Sunglasses There are 76 products. Sophisticated and elegant. 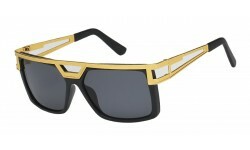 It is a aviator stylish frame sunglasses with rhinestones and metallic frame. This collection will give your customer the feeling of luxury. Sold by the dozen. Manhattan Elvis type shades! Well, not exactly the same but more stylish. Excellent quality. Sold by the dozen. 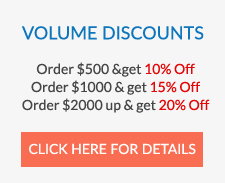 Order for your retail store and profit. A vintage look with a gold frame! 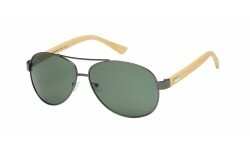 These are the aviator metallic frame sunglasses which are most popular. Increase your sales with these beautifully produced and branded fancy sunglasses. A vintage look with a twist of modern design! These aviator sunglasses are made a high quality metallic frame. The lens also gives it a more classy look to wear. Add these sunglasses in your display rack and to give your customers an option to buy cutting edge styles. This Arctic Blue style is an aviator frame with the Ice Tech blue lens. A hot selling style, order wholesale sunglasses in bulk from Sunrayzz and profit. Metal Air Force Aviator style. Rectangle frame shape with smoke lens. This is a top selling style and a must have for retailers to carry for their customer selection. Trendy aviators with a new shape and more stylish sunglasses. Get this from Sunrayzz Imports now and increase your sales. New Air Force wire frame sunglasses! Order by the dozen and profit! Bamboo wood aviator sunglasses! Casual style with metal frame. Hot new item! Real Bamboo Wood Aviator Sunglasses with Polarized Lens. Eco-friendly unisex style.